ON YOUR MARK, GET SET, CARVE! - What About Watermelon? You are here: Home / Watermelon Carving / ON YOUR MARK, GET SET, CARVE! ON YOUR MARK, GET SET, CARVE! We’re just over a month into the 2016 Watermelon Carving Contest and the competition is already heating up. This year, we wanted to give carvers plenty of time to create their amazing masterpieces, which is why you’re hearing about this now and not in June or July like years past. We also made it mandatory that carvers must submit a photograph of their carving AND a photograph of them with their carving. (Hey, at least now you have a use for that Selfie Stick you got for Christmas.) You can create your watermelon masterpiece anytime between now and August 3 (when the contest entry period ends). Did I mention how sweet the prizes are? Category leaders have the chance to take home $100, and of course there’s the $250 “Judge’s Choice” prize and a $250 “People’s Choice” prize. So, what are you waiting for? Get carving and don’t forget those selfies! 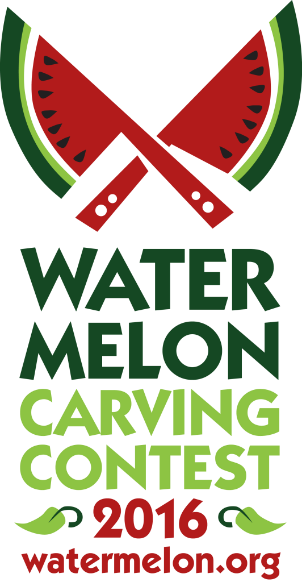 BREAK OUT YOUR CUTTING BOARD: THE 2016 WATERMELON CARVING CONTEST HAS BEGUN! Thank you very much for giving us more time to carve. Can you please explain what exactly is expected in etched carving? Hi Aneta! We can’t wait to see what awesome carvings are submitted this year, and we wanted to give the carvers as much time as possible! If you look at the 2015 Carving Contest winners here: https://www.whataboutwatermelon.com/index.php/watermelon-carving-contest/, you can see some examples of etching. Take, for example, the Second Place winner in the Most Elegant Carving category. Do you notice how Deepa carved a shallow layer into the flesh, just below the green? That’s what we mean by etching. Check out the other winners for more examples.